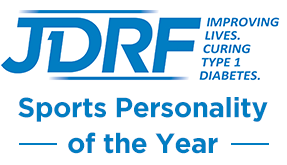 London Bridges Challenge 2018 | Life, Sport and Diabetes - An everyday look at my life with type 1 diabetes. This year marked the 10th of the Diabetes UK London Bridges Challenge events. Every year I've seen the feedback from participants on what good fun it was, so this year I decided to sign-up so as not to miss out. The challenge was also brilliantly timed as it was held on September 30th- the very last day of the 1 millions steps challenge. So early on the Sunday morning the family headed up to Battersea Park in London. I have to admit that having never done the event before, I hadn't realised what a big event it was, but turning the corner from the park into the event site I soon realised as people were lined up to receive their challenge t-shirt, troll hair hat, clappers and map. I signed up for £5 ahead of the event, which was a very reasonable price for how much was going on with the event, then what you fundraised was a bonus. 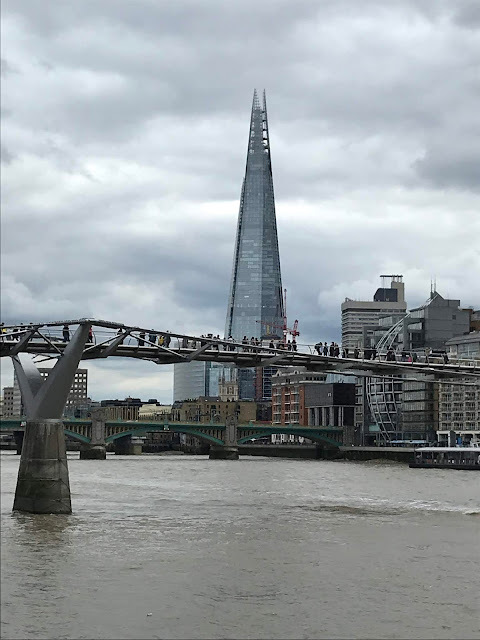 When you signed up you were able to choose a wave to set-off with so we chose the 11:30am wave and set off with hundreds of other walkers to conquer the London Bridges Challenge. It just so happened that when I started the walk I had about 4,000 steps to go for the 1 Million Steps Challenge too, so we set off at a good pace to the first bridge which was located just outside Battersea Park- Albert Bridge. It was then around the corner to Chelsea Bridge and onto a bit of a stretch towards Vauxhall Bridge where I hit the 1 million steps challenge (woop woop), but there was only a little bit of time to celebrate because there were still 9 bridges to conquer! Lambeth bridge number 4 gave us great views down the Thames towards Westminster, whilst Westminster Bridge took us through the gardens near the Houses of Parliament and Big Ben under construction and past the iconic London Eye and onto Hungerford Bridge number 6 and the half way point. What was also really nice about the London Bridges Challenge was that there were volunteers stationed at every bridge, who offered kind words of encouragement, sometimes a high five and also stamped your map or number plate to keep track of your progress. It was literally a tale of two halves diabetes management wise as I found that I needed a moderate temp basal and fast-acting glucose until bridge 6 and lunch. Then after lunch I didn't need a reduction at all and bolused for lunch as I would normally. Bridge number 7 was Waterloo bridge which holds happy memories of when I filmed my Nike campaign there and great views of the Shard building. From Blackfriars bridge 8 St. Paul's Cathedral came into view and then we reached the famous Millennium (A.K.A Voldemort) Bridge 9 featured in the Harry Potter films, so pretty magical to cross. If you look closely in my Instagram stories (@LifeSportDiabetes) you'll see my practising my 'wingardium leviosa' with the DUK pom pom. As the afternoon started drawing in we made our way around the Globe Theatre and onto Southwark bridge 10, then to London Bridge made famous by the nursery rhyme at which point the pace picked up as we set the final Tower Bridge in our sights and the finish line where we collected our medals thanked the sensational volunteers and made our way to the nearest Italian restaurant for a pasta refuel. In total we walked just shy of 30,000 steps that day which was brilliant, but not as great the experience meeting all of the volunteers and fellow walkers along the way.